This IRS Tax related site’s purpose is to provide a layman’s resource for IRS Questions about our Income Tax Return related issues. It’s as if no one person knows all aspects of the Tax Code. It’s either impossible or expensive (hiring a Tax Attorney) to comply with all the rules and regulations. I myself am not a Lawyer, CPA or Enrolled Agent Licensed to Practice before the IRS. I am simply a citizen with a wesite and a desire to assist in any way I can. I am not giving legal advice. In addition, I am requesting the assistance of Tax Professionals to assist with this site’s purpose which is to find answers for IRS Questions about your income tax responsibilities. 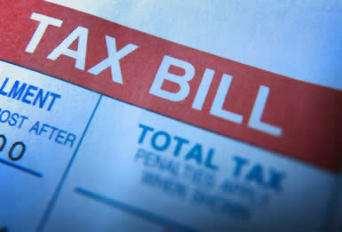 Always remember, it is your responsibility to know the Law regarding your taxes. You’d think this would be a simple question with a simple answer but the truth is there are different time periods for different types of conditions. Let me outline just a couple items. 1) If you owe additional tax and you’ve followed the law then it would be 3 years. 2) If you reported income has a discrepancy of more than 25% than 6 years. 3) If you File a claim for a loss from worthless securities then it is 7 years. 4) It looks like if you filed a fraudulent return then there is no limit to the time you’d need the documents to defend yourself. The point is it varies considerably. I’d keep them as long as possible, just in case. Here is the link for the IRS’s explanation. Scroll down about 3/4 of the way down. and look for “How Long To Keep Records”.